Is the weather trying to tell us something? Is anything else trying to tell us something? Do all our problems get trumped, as it were, by the natural world, if it really is beginning to inconveniently demise the great human consumer party? Who does clear up all the bottles and fag butts and attempt to find a french polisher? And where the hell is the hoover? Is it time to do the one thing we really don’t want to do? Face our climate. The planetary system that keeps us alive. If we are to make sense of everything around us, this is the place to start. Because it connects absolutely everything else. Duh. How do we try to encourage the more hopeful human tomorrow? I think it begins with closing our eyes, and opening our ears. To listen to the sounds of our home, the planet Earth – and just who it has formed us to be. But you don’t have time for all that hippy crap and what was the last concept album to change the world? Well, good point. But if we are to begin to influence the fearsome pressures around us today, I think we’re going to need to piece together a more complete idea of what’s facing us – of what the disaster management brief realistically is for humans in the 21st century – and whether there is more to the future for you and me than disaster mitigation. This series is me trying get my own head around the basics. So, if the working plans to gosh-darn have a go, like the UN’s Global Goals, attempt to piece together some kind of response, the starting piece must surely be the big one. Climate. It is, did you know, having a bit of a crisis. Stress. You ever felt it? Nah, I realise you’re a metafit, graph-scrutinising grown-up, like a nu-80s stock photography model, and you always got this. Hell, I love you. Even though you don’t really exist. Because stress and mental unwellness is realistically nothing short of a pandemic amongst 21st century humans, working and thinking as much as they do. But in your Fitbitting to the incubator, counting your page impressions as well as your calories and hoping you don’t actually suddenly burst into tears in the big pitch meeting, you might not have really thought that the rest of the natural world knows a bit how you feel. But that’s because you haven’t recently spent quality time with coral. Coral. You know. That stuff that looks like a plant underwater but is actually a weird sort of rooted animal. Reefs of the stuff. Beautiful, otherworldly, colourful. Except when it is under stress, because then it bleaches. This, essentially, rids the coral of colour, making them appear ‘bleached’. It doesn’t look as jolly. Corals can recover, and allow algae back into their systems, but if the stress is too prolongued, reefs begin to simply die off. And you can picture from countless gorgeous nature docs that this doesn’t bode well for all the other marine life that have even more invested in swiming among the coral than you do on a dive trip with a GoPro. What is the deal with the climate crisis? We used to speak of the ‘greenhouse effect’ and then of ‘global warming’ before this was fine tuned among climate spokespersons to be ‘climate change’. Now, as apparent advocate-in-chief Al Gore wants us to really say, what we are facing is truly a ‘climate crisis’. Is it? Or is it largely hooey from ‘bloody liberals’? Or at least, a lot of histrionics over problems we’ll obviously just eventually muddle through. Interesting if obvious cultural point here. The consumer world we live in – one that nurtured millions of us to expect choice, convenience, dependable resources and continual improvement of ‘living standards’ – got actually built thanks in hugely significant part to one core dimension of our new post-enlightenment culture: Science. Put together with the dangling carrots of new economic opportunities, it enabled the ballooning of the development of technology in everyday human living. Progress – once such a politically potent word, as governments levered the growing hopes of ordinary twerps like you and me that we might own swish new labour-saving appliances to make our grandmother’s toil at the washboard, for example, look laughably arcane – was built with the scientific mindset in engineering, testing and refining. A practice that began to encompass ‘the consumer’ as a component in that testing. And so science peeled back the layers of myth and habit and the tales of ‘old wives’ and helped ordinary twerps everywhere begin to expect more ‘intelligently controlled’ methods for making and doing ordinary things. More man-made methods, that solved problems robotically without having to sit around apparently gossiping all day. A systematic confidence that shovelled a lot of coal into both the boilers of industry and the hearthsides of its workers. This cigar-suckling, stovepipe hat-crowned resolute emotional certainty – this power, in every sense – made us begin to question God himself, as we waved our slide rule at him and used it to poke aside the curtain conceiling all the levers and pressure gauges of reality. It is interesting to consider the idea today of people driving around in generationally-refined bits of engineering, like Ford motor vehicles, shopping in malls that bring chemically-controlled production line produce hundreds of miles for our convenience, so we don’t even have to concoct the chemistry of cooking at home any more but use electrically controlled microwave emitters to heat pre-prepared ‘ready meals’ for us to eat on little plastic trays in front of fiberoptically- or radio wave-delivered television signals and internet data. And of these very people disbelieving the scientific evidence that the environment around them is beginning to change. Who needs experts? they have supposedly said. Or at least, Who cares much what experts say? in effectively disturbing numbers at various, sometimes digital, ballot boxes. Yale’s Climate Opinion Maps of American beliefs in 2016 had 70% of US citizens believe in climate change for sure, but only just over half believing it was primarily human behaviour-caused. Less than half thought scientists were broadly agreed on the idea and more than a quarter of folk ‘somewhat or strongly distrust’ scientists on the issue. Yet America is more ahead of global public opinion on climate change than you might think, with a 2015 Global Gallup Poll supposedly finding a worldwide average of just over half of people concerned about the issue. Which is far too simple to be richly meaningful, but makes the basic point – loads of us aren’t really thinking about it. And when it comes to my own fair collection of isles, the UK, if this YouGov poll from the last couple of years is anything to go on, we are the fifteenth of seventeen countries polled most concerned about climate change. What we come top in, qu’elle surprise, is population growth. What might also be no surprise to you is where concern seems to be most found – or not – as findings from a Pew Research survey declare: “People in countries with high per-capita levels of carbon emissions are less intensely concerned about climate change.” Well, shee. All this is just a snapshot to get as much of the picture as we generally need. Because the real issue is that two generations of TV dinners and two centuries of mass production have done two rather incompatible things. They have made a massive amount of people rather comfortable, and they have burnt a shite-load of fossil fuels to keep them so cosy. Are we culturally capable of coping with this? With the potential for the human societal world around to begin to change in line with the planet’s changing resources? Let alone with a full-blown society crisis? Well, what are we really talking about? What is evidentially at stake? Climate accords and global emissions. Renewables and sustainability. Such terms float around in the background of the news for millions of us and we don’t interrogate the idea of this climate crisis that governments are supposedly concerned about every now and then. What evidence is there that governments really are concerned? And about what? What are they changing about the way we all do things? And why would they? Looks like precious little, if we’re being honest. Because nothing moves governments to action faster than two things, you might observe – the financial tide, and the political climate. So if nothing’s really on the move there, what are the green lobyists hoping we’ll take much notice of elsewhere? There are a number ideas in play about what could be causing global mean temperatures to rise. This little presentation from Bloomberg is a cute way to headline it. From a subtle shift in the Earth’s orbit, to sun activity, to volcanic activity or various types of other polution, could climate change be a natural side effect of anything other than the rise in greenhouse gas emissions? Long and the short of it from NASA’s Goddard Institute for Space Studies, which engined the data here, is nope – nothing else accounts for what’s happening to graphs of data than CO2 rises from industrial and other human activity. As The Royal Society said fairly solidly here, “greenhouse gases affect Earth’s energy balance and climate” as the sun’s heat gets absorbed by increasing levels of CO2 and other molecules building up in the atmosphere that then ‘radiate that heat in all directions, including downwards’. Like a sunshine double-whammy. As the GISS identified, “July 2017 was statistically tied with July 2016 as the warmest July in the 137 years of modern record-keeping, according to a monthly analysis of global temperatures by scientists at GISS” – the sort of thing you’ve probably also heard in the background somewhere while you were driving or making a cup of tea. As an aside, the way GISS talks also about ‘increasing resilliance to extreme weather’ is all very NASA also, addressing how they will increasingly need to plan for their own technical ability to withstand worse and worse meteorological predictions of activity. It’s serious and technical sounding. A slightly fuller but very clear way to sum up the evidences and the challenges as a starting point comes from this article from elsewhere in NASA – Global Climate Change: Vital signs of the planet.The nub of it is this. As global temperatures are measurably on the rise, the oceans too are warming. And as they do so, they slow down their metabolism for absorbing CO2 and cooling the rest of the environment – something I am not surprised no one refers to as a snowball effect, given that traditionally colder Earth ecosystems appear to be taking a battering at the moment and this would seem a little gauche. Greenland and Antarctica’s ice sheets have been ‘decreasing mass’ in famous dramatic photographs of big meltwater run-offs, and glaciers are in retreat the world over, with decreased snow cover in the northern hemisphere and Arctic sea ice not just declining, but showing thaw in the middle of winter. The combined effect is a speeding up of global sea level rises – tripling the 20th century trend since 1990. 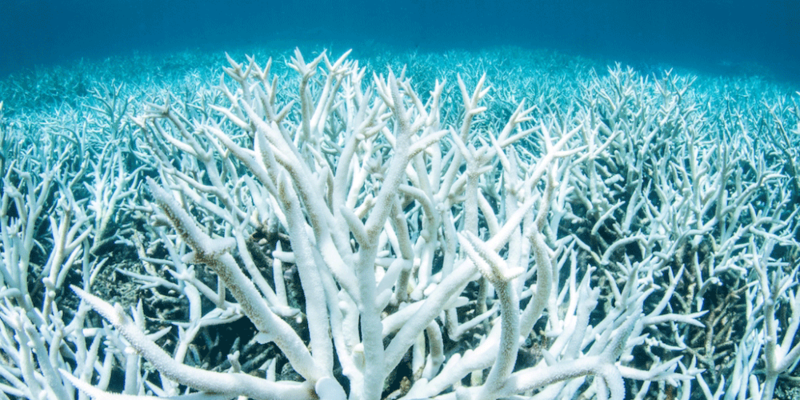 The dumping of tons of additional CO2 into the seas isn’t just warming and rising them, it is acidifying them, terminally reducing them as healthy environments for animals like our friends the corals and for shelled organisms – an ocean foodweb-threatening problem. Then there is the observed increase in extreme weather events. Flash rainfall from increasing humidity levels worldwide, droughts, wildfires and floods, they play havoc with human infrastructure, causing harvest decline and food insecurity. Across the globe, rising temperatures are incubating increased threats from disease, and some estimates for the broad impact upon wildlife in the middle of all this warn we are at serious risk of losing 50% of all species diversity on the planet. It is already a bitter brew of bad news out there, demonstrating momentum in a convergingly destructuve direction for the current balance of life on Earth. 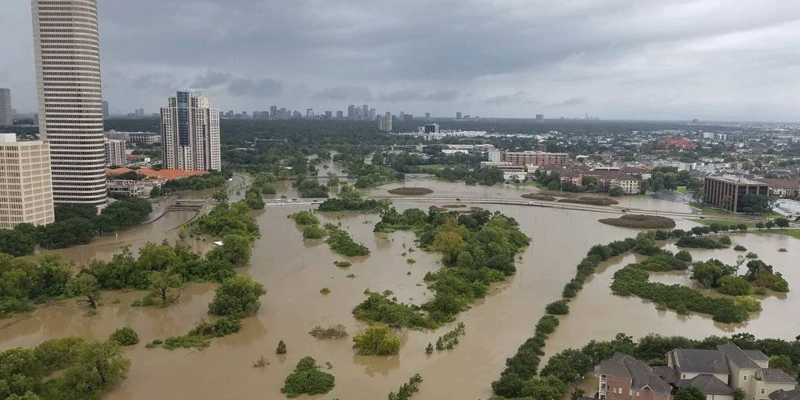 Can governments, including the richest of them, currently cope with some of the extreme weather events like bigger hurricanes, wildfires, droughts and floods? It’s already a stretch, to put it mildly. The US Government Accountability Office estimates such events have cost that country alone some $350Billion in the last ten years, as The Verge highlights. Globally, the International Institute for Sustainable Development shares the Global Climate Risk Index 2017 headline figure for extreme weather events across twice that time, between 1996 and 2015 – $3Trillion and over half a million lives. Dealing with disaster, whatever the cause, is not cheap or easy. So imagine an increase across the world in the coming decades. Right then, Britain. Worried about population increase now, are we? In an industrialised, northern hem world like the one I live in, I’m not hugely connected to the idea of nature’s knock-on effects. Food always turns up in my Co-op, water always comes drinkably out of my tap, my lovely old mimosa tree, in front of my little house, doesn’t fall into my little house because it never faces hurricanes. My exploration of the Mad Max future so far has me comfortably leafing through electric vehicle catalogues. But that’s because I’m used to the idea that the cost of everything I have is a straightforward one, and I largely don’t bother counting it. In other places on Earth, at the same time I am pottering about between coffee shops, other people have had their lives changed already by climate change. The lake itself was often referred to as the pink heart of Africa, because of its pink flamingo population – some 2million, or one third of the world’s population, she says, lived there. In 2013 torrential rains, the lake was flooded, washing away roads and infrastructure and drowing much vegetation, and the flamingos left, not yet to return. Taking with them, a significant proportion of tourism money. It has, Schulman goes on to describe, left some villages empty of men, as they leave for the cities to find work. Everything in the human-planet system is connected. Even the World Bank is saying it. “The climate is changing and it’s changing more quickly than many people realize. If we don’t act now and act decisively, global temperatures will rise above 2 degrees Celsius and this will have catastrophic consequences.” Going on to site Mexico’s steps to acknowledge and mitigate the effects of climate change: “In Mexico and elsewhere, climate change can easily roll back decades of efforts to fight poverty.” The World Bank may still be wedded to the idea of carbon credits, an experiment in economic incentive towards greener business behaviour by ‘offsetting’ carbon dioxide ‘spending’ by investing in sustainable initiatives which many believe quickly became a greenwashing scam. But the imperative language is still there. People at the top know change is surely coming. This is all very numbingly terrifying, but where could a climate tactic start? To get us to actually begin to do the one thing we have all felt unable to make any sense whatsoever of doing – responding practically to all this. While a truly sustainable model of future human comings and goings might look decisively inclusive, as a remedy to a mindset that’s really at the root of most of our ills, the primary reality to face is where our problems are most concentrated. And there’s no avoiding the biggest political obstacle – the prevailing Oil & Gas model. What do we make of the findings that ‘just 100 companies are responsible for 71% of all global emissions’, according to the Carbon Majors Report, released in the summer? Are our problems all the fault of the big bad extractivist corporates? The Oil & Gas industry, along with the big corporates of pharmacuticals, agriculture and global finance generally represent, well, millions of jobs. And a lot of skills. The infrastructure of extraction is collossal, and the engineering problem-solving over the last century has been, from a professionals point of view, impressive. But what we’re really talking about here the need for something a lot more fundamental than witch-hunting some supposed villain bosses of big business. Let’s not even explore the cultural effects of corporate thinking and practice here, of the human effects – the real fruit – corporate work in resource-rich places like the ‘developing’ world often seems to bear. From Nigeria to the Gulf, the history of O&G has not, shall we say, always brought the best out of everyone, or distributed its socio-economic wealth unambiguously and evenly to all its neighbourhoods around the world. It is enough to say here that we need to evolve the climate of conversation about what is good for business. About what really is valuable. No business survives un-managed. And it doesn’t survive without leadership, either – vision of what all that day-to-day management is working towards. A ship takes a lot of disciplined daily responibility to keep operating in the harsh realities of its ocean life. Ask your navy mate – those guys know when to bugger about, and it’s only in between Not Letting The Ship Sink And Everyone Drown. Mostly. So how much more significant and difficult is the running of the human-planet system we’re all in? Name me a Captain Picard among the current leaders of everyone’s USS free Enterprise – USS Planet Earth. Our global human community should be starting to write a new story of success in our own imaginations. Yours and mine. Because extractivism is really just a symptom of a global addiction. Not simply to oil, but to what makes us go to enormous lengths to get it out of the ground, refine and transport it – the illusion of the magic money tree. The promise of and supposed highest responsibility to endless growth. What we need is culture change. And if you and I did everything in our twerpy little lives with a connected sense of the big picture in mind, we’d not even notice ourselves doing a thousand little things to encourage it. And so begin to change the political climate. They’ve nailed it. But it’s still a brittle manifesto, put like this. You and I? How does it reach us where we really are? We’ve got to do one thing, somehow – find a way to emotionally connect with it. But there is another human truth under the story of us in the modern world. Behind the Gordon Gecko shark smile of cynical worldliness. As Naomi Kline puts it, in This Changes Everything, the subtext we all carry everywhere is: “we are not worth saving.” Trashing everything is what we are. Go figure. So why try change? Stephen Jenkinson spells out the implication of Kline’s point, acknowledging how we work as emotional creatures: “Guilt is not an enabler of anything but self hatred.” But self-hatred, he goes on to say, doesn’t signify that we are willing to learn – to know. It is, he suggests, not guilt but grief that truthfully signals one’s dawning awareness of the world. Now, I’ve personally stood at both ends of the Great Rift Valley. It’s no original comment to say that Africa and the Middle East have riches of beauty that help to define the incalcuable wonder and uniqueness of Earth. But humanly, the infrastructure of Oil & Gas looks immoveable. Just like the damage from a mushrooming climate change since I have been alive seems irreparable. Who can imagine economies that count their GDP percentages from the industry in the 80–90%s closing down the rigs and businesses to erect wind turbines? I can picture standing in the Dana nature reserve now feeling an overwhelming grief – not just the wonder I felt when I was actually there. And I can picture standing in a room full of African leaders in Equatorial Guinnea at the Africa Arab Summit feeling overwhelming grief – not just the frustration I felt that my expensive lens was fritzed from a security check on the way in, when I was actually there. Grief is an interesting starting point in a response to the climate crisis. But it’s like any crisis. Because Elisabeth Kübler-Ross and David Kessler’s famous five stages of grief do seem apt for how we’re likely to work through a real reaction to all that’s going on – denial, anger, bargaining, depression and finally acceptance. If our quest is to save ourselves as humans, then our quest is mental wellbeing. And as more of us discover the principles of mindfulness in our attempts to deal with anxiety, stress, fears and failures, more of us have considered the idea of acceptance – that accepting all we cannot change is a significant waypoint on the road to personal peace. Grief is a kind of acceptance. It is an important form of awareness, you might say – the awareness of connection, and it’s cost. Of the value of connection. Jenkinson goes as far as saying that this means hope is a kind of enemy, so constantly unsatisfied is it, unaccepting, of the present. I’m not sure I have the courage to say such a thing so calmly; I know in my own darkest times I discovered hope could be a fear. But if mental health means practicing acceptance, grief’s outpouring might be our gateway to, as Russel Brand put it, “the drug we’re all really craving – connection.” This personal awareness might be the strange, quiet powerpack to us beginning to make a difference where we are in the world. And for me, I cannot shake the idea that the word we’re really talking about here is… reverence. It changes the game, somehow. In my head. Even as the practical challenges, the storms, the insecurities, the threats, play out. If yours and my role in life is to attempt to grow up into leaders – beyond adulthood into parenthood, mentally – then emotionally present leaders, grievingly aware of the value of things, even reverent to the scale of the impossibility of reversing the damage… such people will shape the cultural climate wherever they go. ..That’s you, doofus. At Do It Day Bournemouth, a hack day of volunteering creatives attempting to develop some actionable response to promoting mental health, that Dorset Mind could in some way implement, a phrase came out of my group’s discussion – “Sustainability starts in the mind.” Sustainability begins with true mental health. Now there’s a thought. Grief, acceptance, reverence, in my own head are key ingredients of hope. Because through them you discover what’s valuable to you. And that helps to form the brew of response – personal purpose. Opportunity, lifestyle and imagination combined I think create fertile soil for hope in a community, but personal purpose is what get’s the individual out of bed to take advantage of them. The phrase that’s fallen out of my development work for my creative response to all this is: living in the light of a light over the hill. Because some strange combination – some impossible mental balancing act – between a more conscious sense of rootedness, in our heritages, in our present, makes me look confidently to a more hopeful human future. Political climates shift because people with the right outlooks, with fervently possible hopes and imperatives, infect the atmosphere. People with anger just polute it. You can tell the people who act in everything like they have a vague shimmery sense of seeing the goddam matrix all around them – of getting it. Because they don’t live like they’re self obsessed. They live like they know it’s not about them – it’s about us. Losing themselves to find themselves, as it were. So what does a person like this do, as the climate boils and governments and corporates and ordinary folk in KFC continue on the treadmill? You could read into it further and say he was almost going the full New Age and ‘accepting’ that the universe will unfold as it should. But it’s not like, as a result, he gave up challenging the immoveable-seeming corruption of the the then Catholic Church and it’s cultural grip on Germany and all of Europe. The idea of actually becoming a Lutheran may seem unspeakably joyless apart from anything else today, but this captured moment of thought I’ve always found a useful challenge. So what is your appletree? It is our view of the world that shapes our responses to it, right? Our view of our place in it. Is it any wonder the indigenous American people have been leading the symbolic charge against big Oil & Gas and corporate destruction of the natural world around them? They are a connected range of historic nations that have together been treated like the worst of humanity in the modern economic age, across centuries in the US up to this day. But, for all the economic social realities of many groups of them across America and Canada, they retain threads of connection to deep living. Of connectedness to the environment. And Western stories of the world have impoverished us in this regard; we are a bitterly disconnected group of tribes. And the world looks as it does today, arguably, because of it. Your appletree may be a simple daily choice of where you shop, with no fuss. Or it might be crusade around promoting something more connected in its outlook for your local economy, or against something that would drag our story backwards. You might have a warrior’s determination in your eyes about a new thing, or you might be getting on with your life as ever before, but bothering to do daily things that join up the dots of the world around you. As we find more and more ways to make positive choices about what we eat, what we buy, what we put into our bodies, what we put into our minds… and to decline the products and practices that testify to disconnection, their hold over our ways of living will diminish. The more we share, the more we connect, positive ways of being ourselves with everyone we meet, just honestly – reverently – the more an alternative future for our life on earth becomes a thing. The trick will be that we are planters, not preachers. It’s going to be a bit of a fight, yes. As we each try to make sense of how to be aware of this perhaps greater level of reality around us, whilst also accepting it and what we can’t change. But acceptance of reality does not mean going back to sleep – awareness is about being awake, surely? Being alive is about being vital, and effecting the world we’re part of. You might not be a warrior, you might be a poet. And lord knows, I’m a lover not a fighter. But we all value something – the question is always, how? In the great economic reality of people looking for opportunities, is there not all to play for in all the coming revolutions of human living? Should we not be attempting to see them as all connected – all human challenges and all human resources. On the scientific front of the climate crisis, some of us may yet discover clever ways to encourage the human fight against our own damage to Earth’s environment. Not by geoengineering – which has become a watch word for big corporates trying to patch up their old ways of making obscene profits with absurd Victorian cloud eating machines and goodness knows what else. Most Carbon Capture & Storage initiatives just aren’t dealing with the fundamental psychologies that got us here, as Anthony Karefa Rogers Write explores in a piece for The Leap. Greenpeace call CCS a “costly, risky distraction“. But finding ways to consciously encourage the natural world to help us, to work with it, might hold something in disaster mitigation. There may be something in exploring this, if done reverently, as it were. As scientist Tim Flannery explores, for example, seaweed farms could play a significant natural role in not simply de-CO2ing the oceans, but de-acidifying them. He sites a chap called Bren Smith, former fisherman, who founded a kelp farm off Long Island. “After starting his farm in 2011, Smith lost 90% of his crop twice – when the region was hit by hurricanes Irene and Sandy – but he persisted, and now runs a profitable business” Flannery reports. And there may be something in it, because the Chinese have been doing it on a typically massive scale for years, and according to some scientific reports, such as one in Nature.com, it has had a significant effect on diminishing the effects of what they call eutrophication, or an excess of nutrients ending up in the sea that’s essentially from human pollutants. Technological resourcefulness may yet play a role in how we manage the crisis that has come home to us. Political and economic resourcefulness and determination will undoubtedly be essential. But the truth is, the real hope lies with you and me. The roots of any change are social. Ordinary us, living with a much more concious sense of how our own lives connect to the greater system of life on Earth. A little more rooted, like the coral to the reef. Naomi Kline gave an impassioned speech in Paris at the time of the climate accords announcement about the need to intervene. To not simply let certain corporate interests steamroll ordinary people’s right to protest, calling this the “defence of life on Earth.” She describes the climate crisis, in fact, as a once in a century opportunity to make the world system more equitable. Bringing up our children to be passive and always play it safe won’t simply keep them safe – a time of crisis is a time of action and of skills testing. But also of planning carefully. And, like all campaigns, it’s all about how you wisely spend your resources. How to share sustainability news, who to talk to, who to keep bothering with challenges, when to join a march, when to protest a bad local political decision, how to heat your home, how to travel. What to buy, what to stop buying. Interesting that the massive corporates are already feeling the need to pay public lip service to more sustainable ideas. Lord knows they can’t reverse all our damage now. And greenwashing may be hogwash, but it’s also a sign – at the highest levels – of change in the air. Thanks indeed, Andy. Yes, this is all an exercise in perspective in a way – trying to see everything a little differently. That nowhere is ‘away’ and the whole human-planet system is just one, albeit complex, system. And we are agents in it, affecting it together, even for the better if we’re prepared to be a little more awake in it. Such is the challenge of ours times, I am discovering. Here’s to seeing and sharing more of the big picture, mate.